In a Saturday afternoon affair against the Missouri Valley's Valparaiso, a team GW last met and downed at Madison Square Garden in the 2016 NIT Championship Game, a thriller of an offensive ballgame broke out. 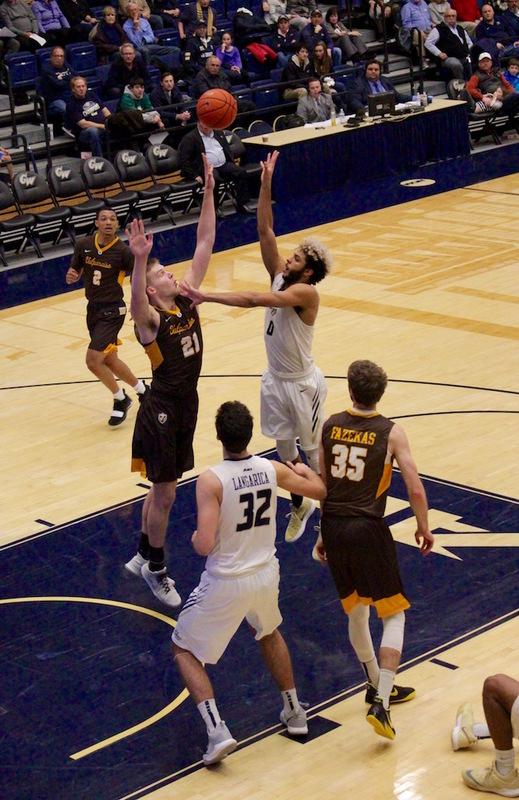 Both teams shot well over 50 percent from the field (GW .585, Valpo .536) but the Crusaders' 15-of-27 effort from three-point range was the differentiating factor in GW's 82-79 setback. For the second consecutive game, a pair of GW sophomores registered career-best performances. Javier Langarica, who will be looked upon to play major minutes now in the absence of Arnaldo Toro who is out for the season, began Saturday where he left off on Wednesday night. The Bilbao, Spain native got the game going with a three-pointer, and went on to log a career-high tying 31 minutes while dropping in a career-best nine points. 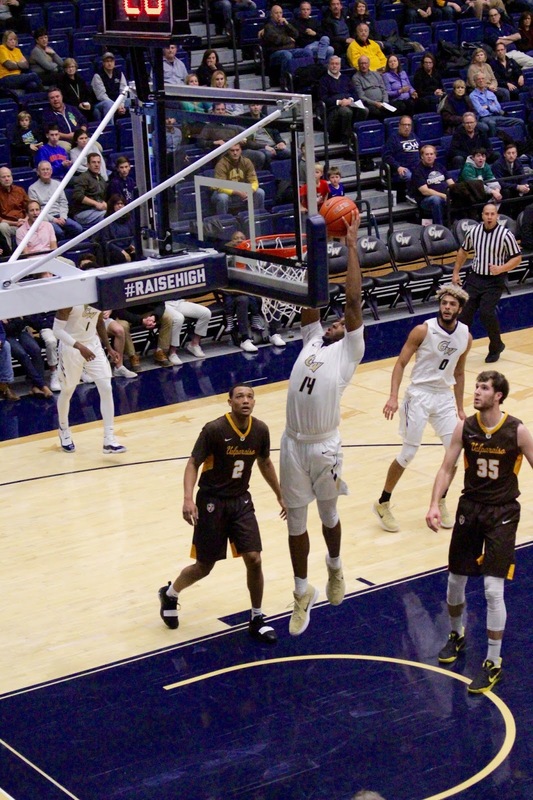 Fellow second-year man Maceo Jack, meanwhile, had a breakout scoring performance while scorching the nets to the tune of 8-of-11 shooting, including 4-of-5 three-pointers and all three of his free throw attempts en route to his Buff and Blue best 23. 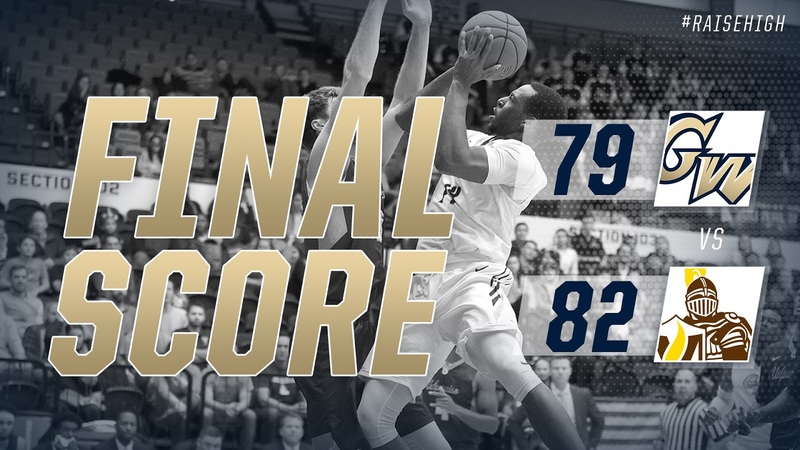 Unfortunately for the Colonials, while Jack didn't miss a freebie, GW missed nine in a 10-of-19 outing at the line, which played a critical role in the three-point defeat. Jack netted 18 of his points before halftime and the Colonials took a 44-42 edge into intermission, only to see the Crusaders discover superb marksman traits in the second half. 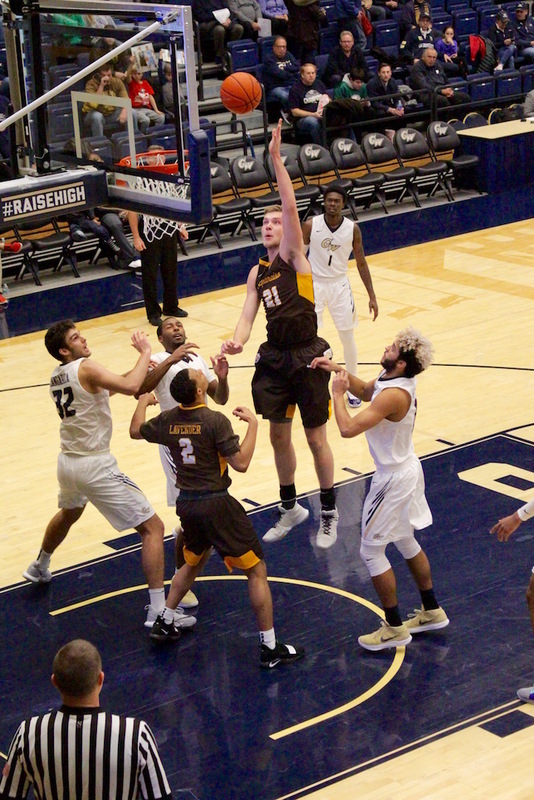 Valpo stormed out a 13-point lead with just over nine remaining courtesy of a prolific 9-of-14 (.643) shooting clip in the stanza. 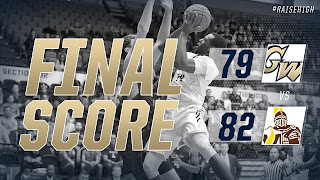 The Colonials were game and rallied to knot the contest at 74 apiece after a Terry Nolan Jr. (16 points) three-pointer with 3:31 to go, but Valpo's Ryan Fazekas answered back with one his six threes in the game on the next possession and GW wouldn't match Valparaiso again. A Jack triple cut a five-point deficit to two with :20 seconds remaining, only to see Fazekas extend back to a four-point margin after two makes from the charity stripe. Then a final heave from just inside half court by Jack at the buzzer missed high in a game-tying attempt. 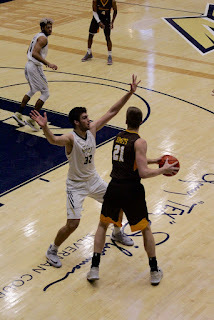 A fourth sophomore starter, tri-captain Justin Mazzulla, netted 12 for GW with a team-high seven assists, while being an ever-present pest on the defensive end with three steals in his 37 minutes played. DJ Williams also hit double figures for the Colonials with 11. GW was able to contain the damage of Valpo's top threat, 7-foot-1 Derrik Smits who boasts NBA bloodlines, as the center fell shy of his scoring average with just 11, and despite the distinct size advantage that the Crusaders owned GW held its own on the boards (29-26 Valpo) while doing yeoman's work attacking the glass. 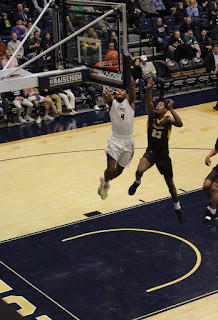 G-Dub commanded the interior with a 40-28 edge in the paint. It just wasn't enough to top the visitors' three-point proclivity in this one. With GW collapsing on Smits, Valparaiso was all too happy to try to make the home team pay from deep. Along with Fazekas, Bakari Evelyn did exactly that. Evelyn accounted for a game-high 27 points in a sterling outing that saw him can 10-of-15 from the floor, including 6-of-9 from the land of plenty. Deion Lavender found his shooters and racked up a game-high 10 dimes for his efforts. 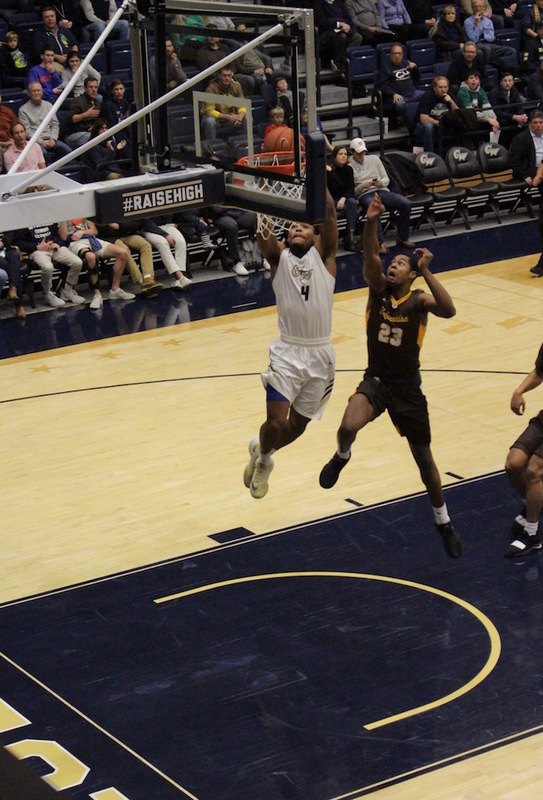 GW is in action again next Friday, December 14th, when crosstown foe Howard comes to the Smith Center for a 7 PM tip-off.